New DaViT plotting tool allows the user to overlay SuperDARN convection maps and radar measurements onto plots of total electron content data, as measured by the GPS Receiver Network data processed at Millstone Hill. 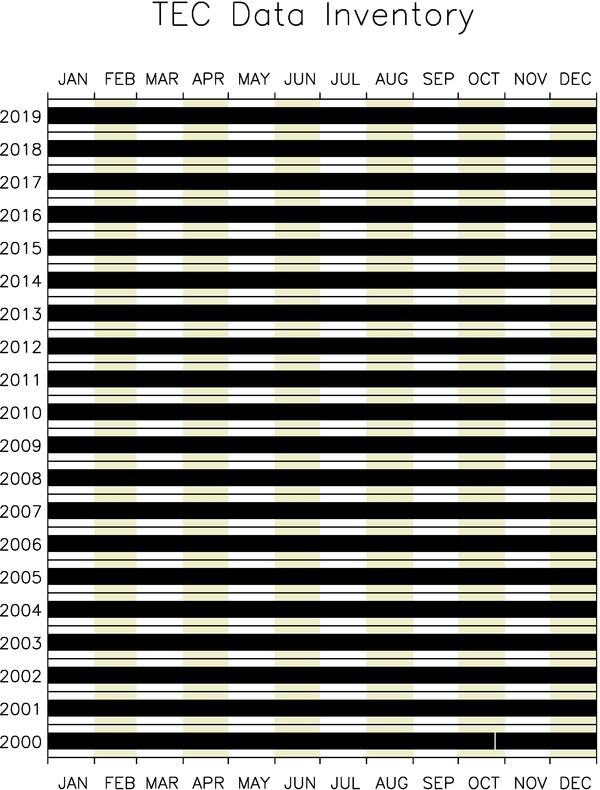 TEC data has been downloaded from the Madrigal website at Millstone Hill and is available for plotting at 5 minute resolution for all processed days from January 2006 to present (a total of 2,665 days as of 5/09/2013) as well as a few additional selected days. Additional features are under construction for this plotting tool and will become available as they are completed.